What are you going to do to scare your family and friends on Halloween? Have you ever thought of creating a Halloween slideshow movie to be playing at a Halloween party? It is time to be prepared for it. Collect a number of horrible pictures, background sounds, decorations, words, sayings, and you are ready. Then with a slideshow maker, you can easily turn them into a spooky Halloween slide show. Note: To create Halloween slideshow, the only tool you need is DVD Photo Slideshow. 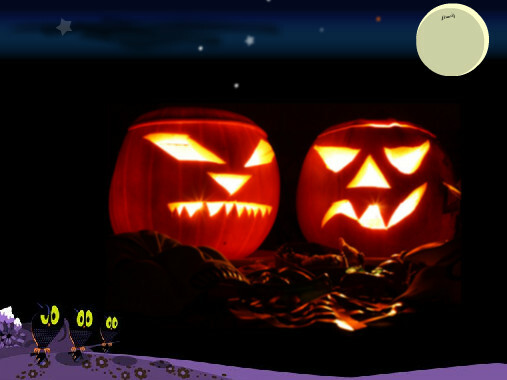 It allows you to make Halloween photo slideshows with music, transitions, Pan & Zoom effects, text, words, artclips, and more. You can download it for a try first. If you are searching songs that are suitable for a Halloween slideshow, you got the right place. Below is a list of 40 Halloween songs that may be fit for your Halloween slideshow movie.